Ancient Mars... An extinction level event... 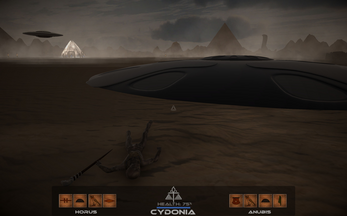 The enigma of Cydonia. 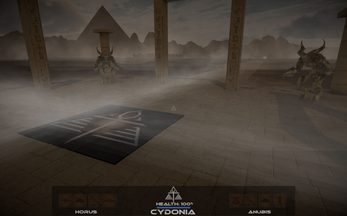 Avoid the Guardians of the Gate while locating the Sacred Glyphs. 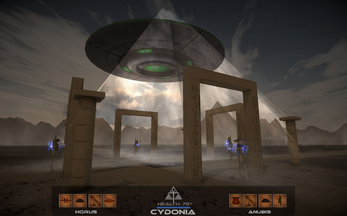 Acquire the Staff of Exodus to activate the Star Gate and escape the barren Red Planet to begin anew on the Third Stone from the Sun. 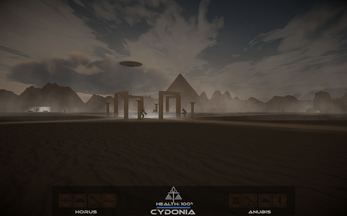 A long time ago on a planet not so far away-- Cydonia, a mini adventure game from on Edge Studios.